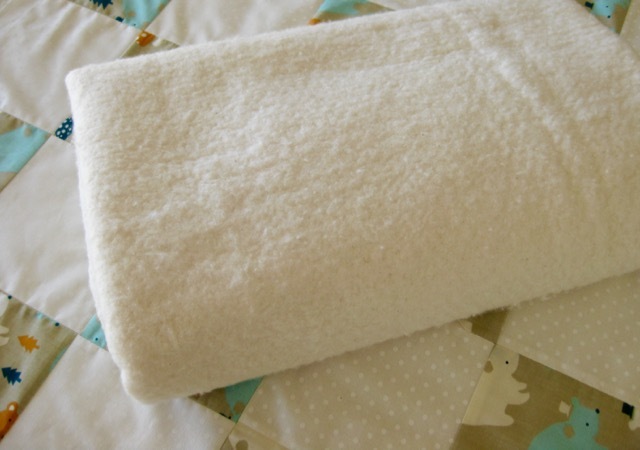 1/2 yard muslin or dotted white fabric. 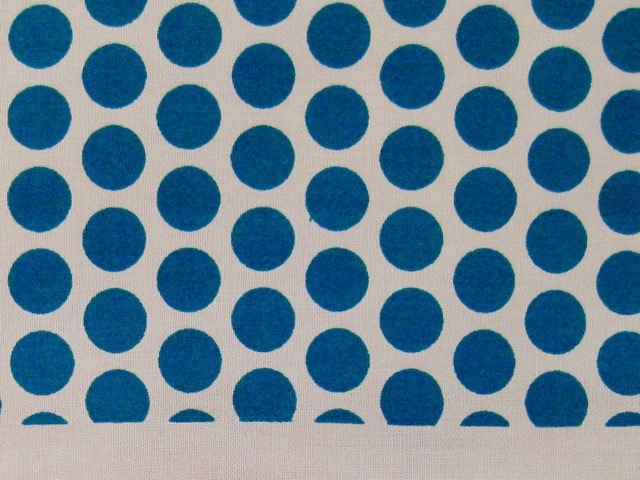 1.25 yard printed or dotted blue fabric. 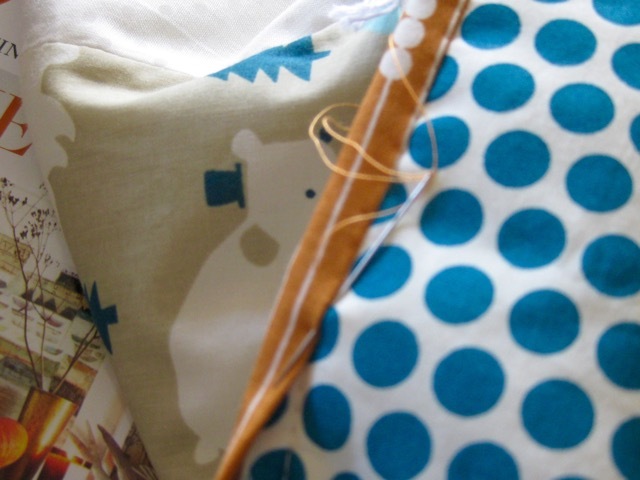 Cut both printed and white fabrics lenghwise in 5" stripes. Then cut them in 5" x 5" squares. 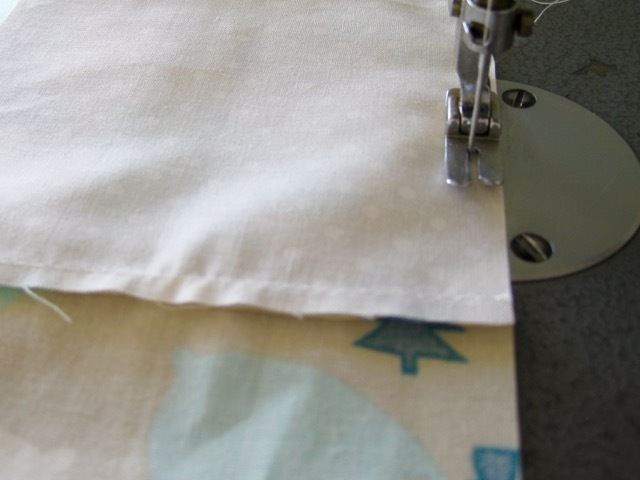 Sew the printed and white squares together, right side against right side. Make 8 rows of 6 units each. Cut your wool batting a little bigger than the top. 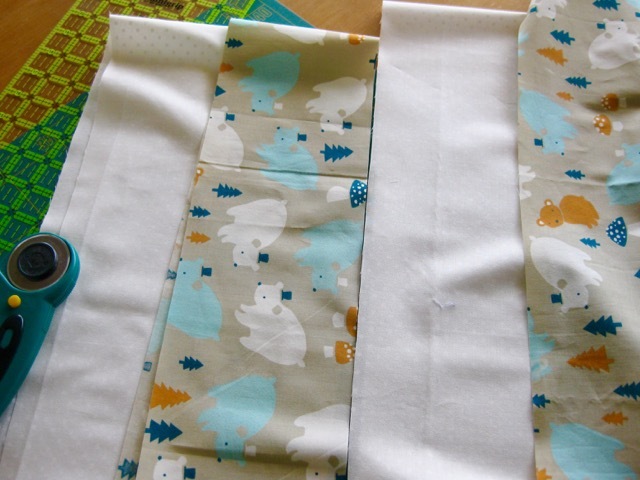 Cut your backing fabric the same size as the batting. Baste and link with knots as shown HERE and HERE. That looks quick and easy - and so pretty. 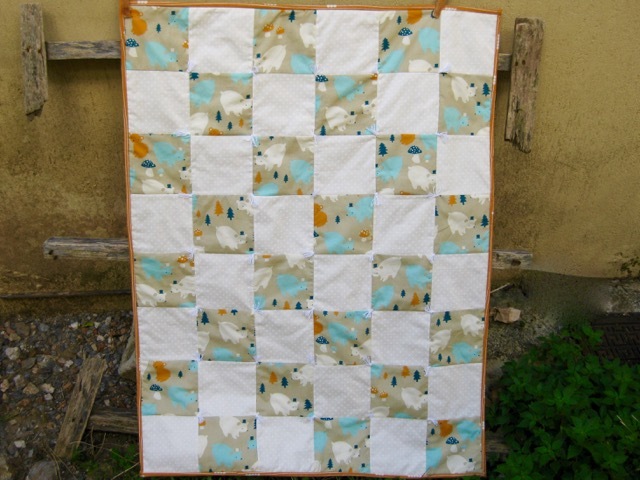 I am adding tied quilt to my to-do list. 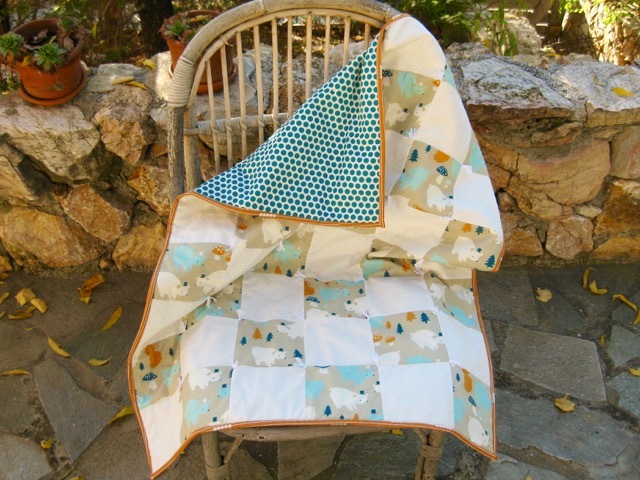 This quilt is beautiful, and it looks so soft and cuddly! Great job! 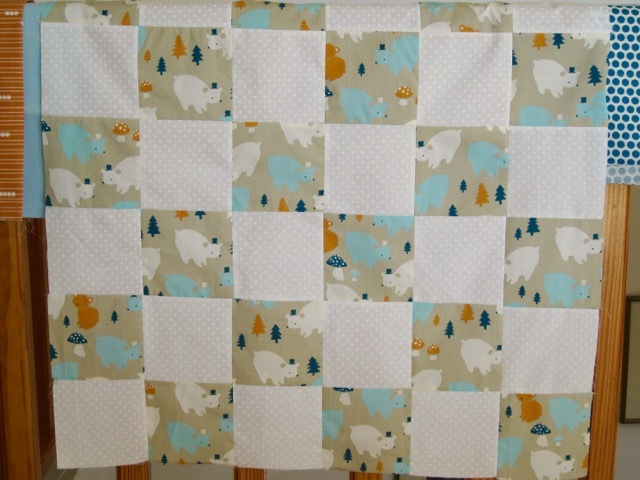 Christine, I am a beginner at quilt making. 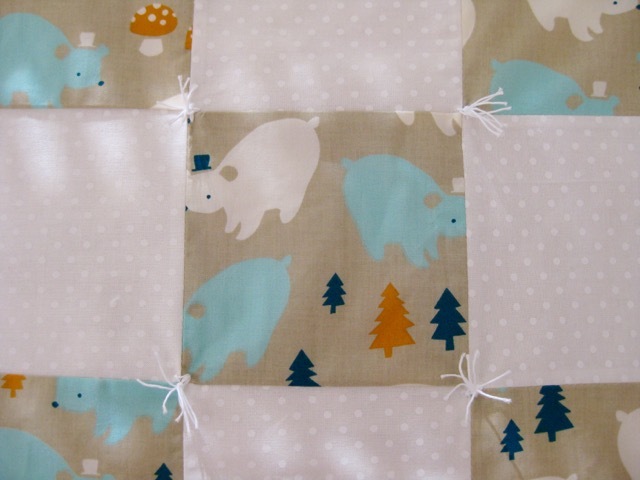 The quilts you make is very beautiful and your instructions makes it a lot easier for me to follow and know that I will be able to make it as well. Thanks for sharing. You are welcome Madelein, I am happy to be of help!